The solution to the governance challenges of Local Government Units (LGUs) has arrived with Cityserv. LGUs have to be more responsive and interactive with its citizens in these times. The era of having the traditional method of using manpower to address the needs of its citizens have long passed. It is acknowledged that LGUs cannot simply cope with the demands of an ever-increasing population, urbanization, Disaster Risk Reduction and Management (DRRM), health services and education all at the same time. The services of LGUs is a cradle to grave endeavor and Cityserv has risen to the challenge. Cityserv is a fully integrated system wherein LGUs can automate and create proactive solutions to the management challenges presented. Cityserv systems have Revenue generation systems that streamline and automate the real property taxes and business taxes of the city or municipality. This not only serves the employees of the LGU but importantly gives its citizens faster and easier processes so that revenue collection is more accurate and have shorter processing duration. In Iloilo City, Cityserv is currently being utilized for its Real Property Tax collections, monitoring and database management. It has a tracking system for transactions that it is also available as a mobile app that can be used by its citizens whenever they conduct transactions with the city. The Office of the Mayor of Batangas City has employed the Cityserv system in its Mayor’s Action Center. This is not just a queuing system for those who need the assistance of the Office of the Mayor. The Cityserv system serves as a tracking system so that the Office of the Mayor can analyze the needs of its constituents that range from education, health, social-related concerns, complaints, peace and order, housing and even social calls. The system will then point out what relevant city department will address the issues and concerns encountered by the Office of the Mayor. This results in faster response time and quick resolutions of the concerns. The database is also used for analysis of the concerns raised and planning and decisions can be made proactively based on the data collated by the Cityserv system. The current most comprehensive Cityserv solution is being used in Taytay, Rizal. The Best Taytay mobile app is both for the LGU government and its citizens. It is utilized in disseminating information to the citizens of Taytay, Rizal. The Best Taytay app releases news and announcements by the LGU government that pertains not only to DRRM but also information about the policies of the LGU. It also provides a directory of all pertinent LGU offices and agencies ranging from the Office of the Mayor all the way to General Services and of course the Municipal Disaster Risk Reduction and Management Office (MDRRMO), the PNP, BFP and Rural Health Units (RHUs) and Health Centers. The unique feature of Cityserv’s Best Taytay app is its interactive component. This enables the citizens to report incidents, ask for the relevant assistance needed, and emergency reports. They can also send pictures of notable places in Taytay. Lucette Dela Rosa, the department of Taytay's Management Information Section gave a run through of the capabilities of the system which gives the citizens the ability to view from their mobile devices city establishments and locations of places of interest on a map. The Best Taytay apps salient features in DRRM aside from reporting and response is the capacity of the LGU to know where their DRRM assets are in its Asset Map. These assets can be emergency vehicles and emergency personnel availability and deployment. This real-time inventory of DRRM assets is critical in times of emergencies. But the app also has a feature on knowing the age of the emergency equipment and machinery so that planned asset acquisition and purchases can be implemented. Cityserv’s Best Taytay app is not only restricted to the municipal government but also to 5 barangay governments of the municipality. Lucette Dela Rosa stated that the Best Taytay project also has its database for analyzing and evaluating the performance of the system and continuous improvement of the system is part of its evolution so as to optimize the LGUs service. Chie Malaki of Highly Succeed’s Business Development Management stated that LGUs are becoming more aggressive in digital applications as a crucial component of its governance system and there is a large potential yet to be harnessed. 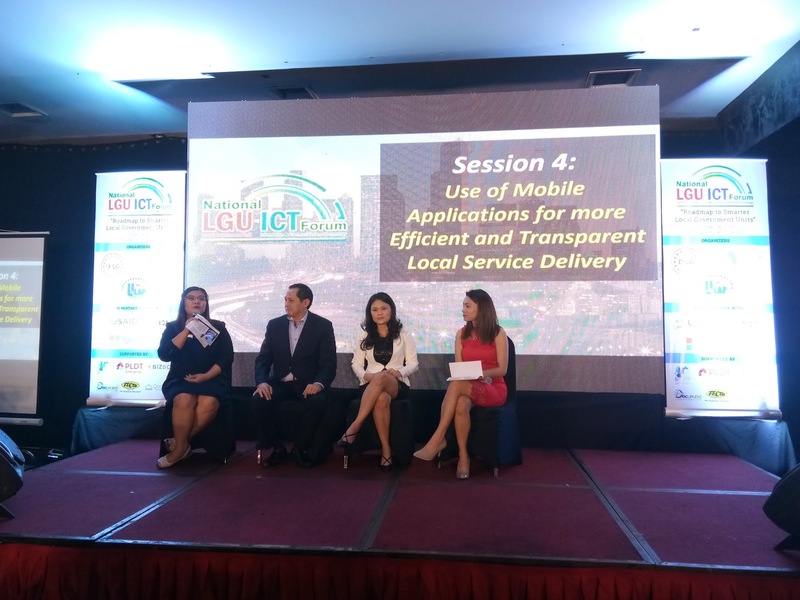 Cityserv presented its systems and app during the National LGU ICT Forum 2017 held last October 19, 2017, at the Hotel H2O with the topic of Use of Moblie Applications for More Efficient and Transparent Local Service Delivery session. If you want your LGU to be Cityserve-enabled, a free evaluation, and consultation at www.sales@higlysucceed.com.